Website Design That Reflects Your Business. Does Your Website Looked Dated Or Does Your Business Need A Website? PDM Communications will custom design and write a website that will improve your image and web presence. 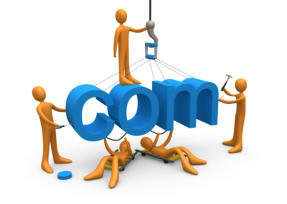 We will closely work with you to create the perfect website while keeping the cost in your budget. If you are new to websites don’t worry, we can do everything from start to finish. Some Of The Things We Do When Creating Your Website: • Setup The URL And Hosting Service • Create Modern Website Design • Write The Copy For The Website • Manage Your Website Including Creating And Uploading New Content • Send Tracking Analytics Reports • Setup E-Mail Accounts • Search Engine Optimization Setup To Help You Rank Better • Use Professional Stock Photography • Offer Ongoing Support For Questions And Issues We know your expertise is in running your business. That is why PDM Communications will do all the heavy lifting for you. From creating the design, writing the copy and managing your website. To find out more about our creating a website for your business, contact us today.